Nobile1942 is an Italian perfume house with a long history. 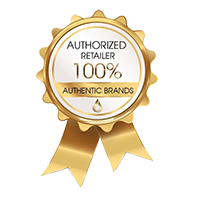 These high quality, authentic and artistic perfumes and extraits contain essential oils obtained through a natural processes of steeping, filtering, and distillation. This results in a lengthy production process, but there patience is rewarded by heightened aromas and tenacious fragrances that maintain their substance and full body. Nobile 1942 has collaborated with many well known perfumers such as Marie Duchene, Mathieu Nardin, Christian Carbonnel. Luca Maffei and Antonio Alessandia. The patience of a craftsman that is required in producing Nobile 1942 essences is also seen in the subsequent phases that all follow the rhythms of nature and centuries of tradition. Once all of the ingredients have been blended, the mixture is left to rest for one month before it can be considered a fragrance ready to be bottled. This process and the use of natural raw materials provides the fragrance with another unique characteristic: adaptability. It changes with the mood and temperament of the moment to take on unique, unforgettable variations in olfactory pleasure.